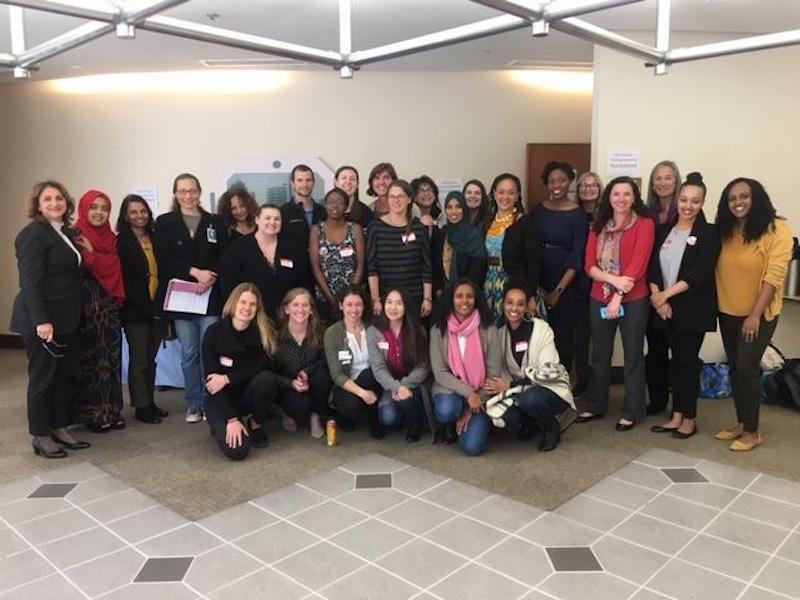 On Saturday February 23rd, the Refugee Health Unit collaborated with the Dunya Women’s Health Collaborative to host a Female Genital Cutting (FGC) provider training at Scripps Mercy Hospital. The event was funded through a grant by the Office of the Assistant Secretary of Health (OASH) and Office on Women’s Health (OWH). The event was the first hands on FGC focused provider training in Souther California. Providers from all social and health disciplines were invited to take part and was the event was livestreamed for those who could not attend. Attendees could get UCSD School of Medicine approved CME credit for participating in the hands on workshops. The providers range from OB/GYN, pediatrics, to those working in mental health. The list of presenters consisted of national experts in the field including Dr. Sierra Washington, UCSD OB-GYN, Dr. Crista Johnson ACOG, Nicole Warren CNM PhD, Janine Young, MD AAP. They presented the common differences in treatment for those affected by FGC, as well as the importance of giving patients autonomy to make their own decisions regarding their treatment. Presenters also emphasized the importance of avoiding iatrogenic pathologization, which is when the physician induces stress and anxiety by pathologizing something which may not be of urgent medical concern. The Dunya Women’s Health Collaborative was launched in 2016 with the aim of improving the health and well-being of FGC affected, and at risk communities in San Diego. Dunya community partners seek to improve awareness of FGC-related health care services, develop cultural competency and clinical management training for healthcare providers, ensure access to affordable, high quality, culturally and linguistically competent health care services for FGC affected communities, and facilitate survivor-led dialogue with culturally competent community leaders to break silence and advocate for sustainable change.